Eleven (Millie Bobby Brown) does a Rap Recap of Stranger Things Season 1! And just like that, Millie Bobby Brown is all grown up! 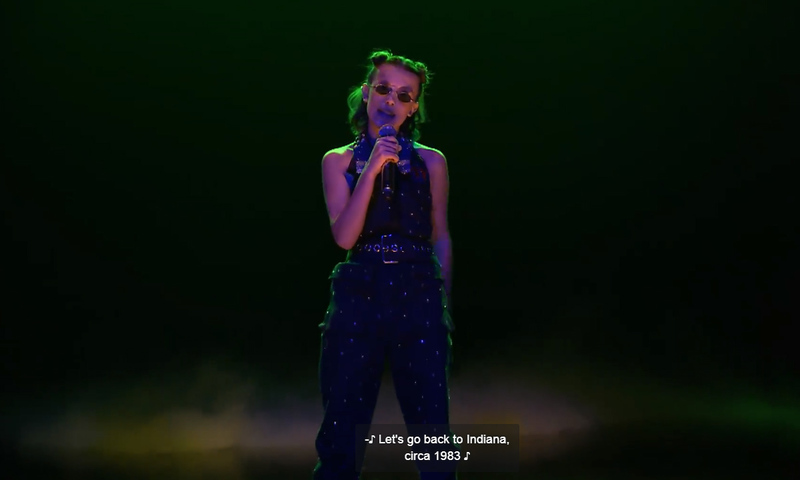 Shot to fame when she played Eleven for Netflix surprise success franchise, Stranger Things, Millie Bobby Brown guested at The Tonight Show with Jimmy Fallon to give the low-down of what went down during Season 1 — you know, in case you do not want to go through 8 spectacular episodes of Stranger Things Season 1 to prep you for the second one (pfft, mouthbreather)? Take it from our telekinetic friend that laid some mean lines during her guesting at Fallon’s. It’s pretty much bad news when you see that bloody nose. Don’t make her do that, folks, watch Stranger Things Season 2 now at Netflix! If you’re still on the fence about the show, fret not, we have a (relatively) spoiler-free review of the whole Season that you can check out right HERE. Previous articleNetflix PH shows ‘Gabi ng mga Kakaibang Bagay’ featuring their ‘Noli de Castro’!